Earlier this year, Genovation debuted the GXE—a C7 Corvette-based electric supercar with 800 horsepower and 700 pound-feet of torque. After its debut at the Consumer Electronics Show, it appeared at the M1 Concourse in Pontiac, Michigan. Now, it’s heading to the Los Angeles Auto Show this week. 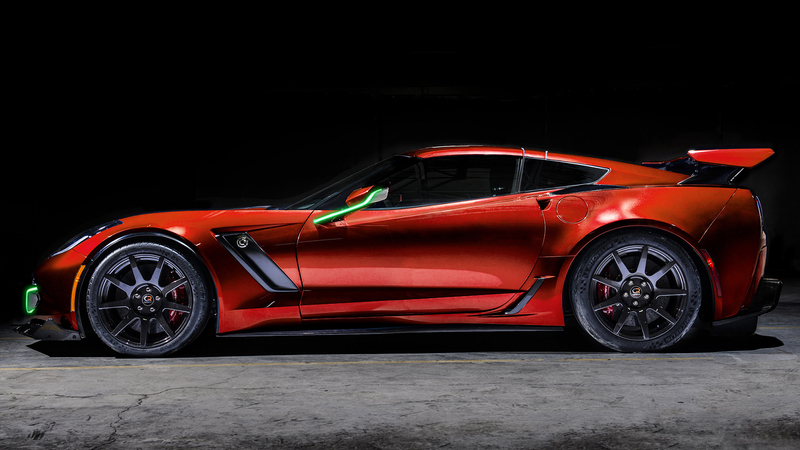 The electric Corvette Genovation GXE sports a low center of gravity and a near 50/50 weight distribution. Other features include an active programmable suspension, carbon fiber wheels, carbon Brembo brakes, 10-speaker JBL sound system, active aerodynamics, and much more. Top speed is claimed to exceed 220 miles per hour with a range of more than 175 miles on a single charge. However, that number is based on driving like an average person. The car holds the Guinness Book of World Records for a street legal electric car with a speed of 190.48 mph in the standing mile. The electric Corvette is also the first street legal EV to record a top speed of 209 mph. It still retains that record. I was correct. Electric Corvette is the future and LS engines will go down in history. New Road! And if they can just shave a few thousand dollars off the price, dozens of people will be able to afford one of these. The LS engines (gen 3 and 4) in the Corvette have been history since 2013. You obviously know nothing about corvetteses and LS engines Gen 5 is being used right now. Seems sorta like you are the one unfamiliar… Corvettes use LT engines (LT1, LT4, LT5) and have not used the LS for a few years. Gen 5s are the LT and LT based engines. No. I think i do. Gen1 was the Chevy small block. Gen2 was the Mk1 LT engines. Gen3 was the Mk1 LS engines. Gen4 was the Mk2 LS engines. Gen5 is the current Mk2 LT engines. The LS, unless there is a Mk3, is stone dead. Give GM 10 years and One Billion Dollars and they will have an electric Corvette too. You know, development costs.